After a week of doom, gloom, broken furnace, and frigid rain, we're finally at 60-something and sunny here in Minneapolis. I'm celebrating by adding new titles to my Little Free Library, which is a constant source of happiness in my life. In last week's newsletter, I asked for help choosing my next read from a pile of never-cracked books I've had stacked in my nightstand. I got recommendations for The One and Only Ivan, Savage Detectives, and Some Luck. The Dinner, on the other hand, got a terrible review in response to its photo, so I decided to let it go. I'm certain someone will want it, and soon. In fact, just a second - let me go check. Okay, here's the scoop: The Dinner is still there, but Go Set a Watchman is off to a new home. I hope the new guardian doesn't mind the hundreds of terrible reviews that kept me from reading it, but unfortunately, not from buying it. 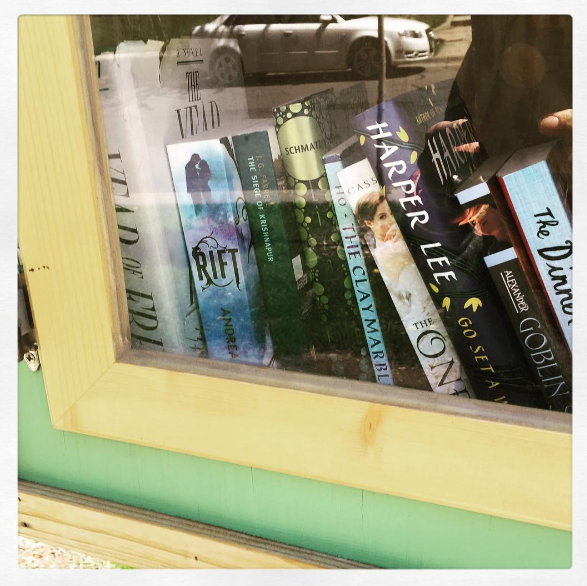 I love that you put books you haven't read in your Little Free Library. I'd sit around feeling bad that I didn't want to read them. Well played!